It’s not enough in this day and age for administrators to oversee their virtual environments. Increasingly I hear more about the need for updating the ESXi hosts’ drivers and firmware during maintenance windows. I get it, I completely understand this need. So how does an admin keep up on what hardware all of his VMs are running on? What if you need to check the hardware to compare it against the Hardware Compatibility List for a new version? We’ve made this much easier! Read on! In PowerCLI 6.0 R2 we introduced two new cmdlets to help admins have visibility into the physical hardware their virtual environments are running on. We use the ConnectionState property because the Get-VMHostHardware cmdlet cannot query against a disconnected host, so rather than seeing an error for any host that is not connected, we take care of it at this stage. The additional information provided by this cmdlet will allow you to verify CMDB data as well as feed reports back to CMDBs or other groups in your company. You could take this information and export it to CSV and save it for future reference or support. To learn more about these two cmdlets, use the Get-Help cmdlet to see examples or read more about them in the online cmdlet reference here. Have you updated to PowerCLI 6.0 R3 yet? Why not? Did you know it supports all the way back to vCenter Server 5.0? Download it today from here and gain the latest benefits. This entry was posted in ESX, Hardware and tagged Hardware, PowerCLI on January 5, 2016 by Brian Graf. One of the main areas of PowerShell that always impresses me is the integration of applications which were not designed to work together, it is often an overlooked and yet very powerful feature which enables products from the same company and even products from multiple companies to be glued together by Power Shell and integrate data and automation actions to perform some fantastic integration. Recently I worked with Eric Williams from Cisco and we collaborated on some PowerShell scripts which used both Cisco PowerTool (PowerShell snap-in for managing Cisco UCS) and PowerCLI to integrate the Cisco UCS devices with VMware vSphere. With this combination we were able to use a mixture of technologies to create some scripts which automated the deployment of Cisco UCS blades from bare metal all the way up into vCenter. These scripts not only deployed the Cisco UCS blades but also downloaded the latest version of ESXi from the VMware website, used this to PXE boot the UCS blades with VMware Auto Deploy and then finally applied created and utilized a host configuration using Host Profiles. There was very minimal pre-work performed for both UCS and VMware in the environment being demoed in the video below. For UCS, the pre-work that was performed was racking, stacking, and cabling the physical UCS gear and performing an initial configuration of UCS manager. On the storage side, a 200 GB LUN was created and zoned to a range of 18 WWPN’s as well, of course this could also have been done with PowerShell snapins from some of the storage vendors if needed. For VMware, vSphere and Auto-Deploy software were both installed and configured inside of a Windows 2008 R2 server that had DNS, DHCP, and TFTP installed and configured to best practices from VMware for AutoDeploy. From there, PowerShell utilizing the Cisco UCS PowerTool module and VMware PowerCLI snap-ins takes over!!! Initial Configuration – The first scripts configures all of the pools, policies, VLANs, VSANs, Service Profile Templates, etc. needed on the UCS side to create new servers to be used in the cluster to be created in VMware. On the VMware side, this script will download the latest ESXi hypervisor, as well as create separate AutoDeploy Hypervisor and Cluster rules that define the hypervisor version and destination cluster for net new servers with the Service Profile Template name provided in the OEM strings like “oemstring=$SPT:CL2012”, where CL2012 is the service profile template name. The script will create a new service profile from a template, associate it with a server from a pool, monitor the progress of the association and addition of the host into the cluster, perform initial configuration of the new host in the cluster and create a host profile from the configuration, and create a rule for the cluster to use the new host profile. Addition of New Hypervisors – The second script is run to add new hypervisors to the cluster created in step one. This script accomplishes that by creating a new service profile from the template created in script one, associating it, and booting it which will cause the server to boot via AutoDeploy based on the AutoDeploy and cluster rules created from script one, which are triggered from the service profile template name. The script will verify the host is added to the cluster and is fully compliant with the host profile created in step one. Rolling Hypervisor and Server Firmware Upgrade of a Cluster – The third script will download the newest version of a ESXi hypervisor from VMware, create a new AutoDeploy rule utilizing it for servers that are created from the Service Profile Template created in step one. Once the rules are updated, the script will loop through each hypervisor one by one in the cluster by first setting the hypervisor in maintenance which will trigger VM evacuation, shutting the hypervisor down, change the host firmware pack on the service profile which upgrades the firmware on the server, powering the server on which will cause the server to boot the updated version of ESXi via AutoDeploy and rejoin the cluster. These scripts can be downloaded from here and are provided freely as examples of how you can use both UCS PowerTool and VMware PowerCLI together to achieve end to end automation. Please feel free to modify and utilize them as examples of how you might automate UCS and VMware in your own datacenter. You can watch a video with Eric Williams and myself explaining these scripts and them running here. This entry was posted in Advanced, ESX, Hardware, ThirdParty on September 4, 2013 by Alan Renouf. PowerCLI 5.1 – What’s New ? With the announcement of vSphere 5.1 from Steve Herrod at VMworld 2012 – San Francisco I wanted to highlight the new features which will be available as part of VMware vSphere PowerCLI 5.1 Release 1. As you will also know, most of the cmdlets for the Cloud snapin were “Get-“ cmdlets, these allowed us to focus on retrieving data from vCloud Director, access to more advanced functions were available via the Get-CIView cmdlet but this was for the advanced PowerCLI users. What’s New for vSphere Users ? You can use Kerberos for pass-through authentication with vCenter Server, ESX/ESXi, and vCenter Virtual Appliance systems. You can create linked clones with New-VM. You can pass datastore clusters to the Datastoreparameters. You can retrieve vSphere objects from vCloud Director objects with the RelatedObjectparameter. You can manage resources more efficiently with Storage DRS (SDRS) support added to a number of cmdlets. You can retrieve, create, modify, and remove VMHost, VM, and SDRS advanced settings with the the Get-AdvancedSetting, New-AdvancedSetting, Set-AdvancedSetting, and Remove-AdvancedSetting cmdlets. You can set the scope of your settings with the Scope parameter of Set-PowerCLIConfiguration. You can initialize custom vSphere PowerCLI scripts automatically by storing them in the Initialize-PowerCLIEnvironment_Custom.ps1 script configuration file. What’s New for vCloud Admins ? You can create, modify, manage, and remove organizations. You can create and manage permissions. You can assign computing and networking resources. You can create, modify, and remove organization networks. You can create, modify, and remove vApp networks. You can create, modify, manage, and remove vApps. You can manage virtual machines and their guest operating systems within vApps. What’s New for vCloud Tenants ? With PowerCLI 5.1 Release 1 we now have a new snapin specifically for vCloud Tenants, in fact this is a completely separate installation with its own set of cmdlets which can not be installed on the same machine as vSphere PowerCLI 5.1 Release 1, this is called VMware vSphere PowerCLI Release 1 for Tenants and is designed to aid the vCloud Tenants in performing automated tasks in their hosted vCloud organization. Why would we do this ? We wanted to bring the power of automation and the ease of reporting that PowerCLI gives the current vSphere and vCloud Admins to the tenants of the cloud. All this whilst giving them an easy to use simplified subset of cmdlets specific to the tasks they can do within their vCloud Organization. What’s available to tenants ? vSphere PowerCLI common snapin for providing common PowerCLI configuration and usage based tasks, these cmdlets are part of the VMware.VimAutomation.Commonsnapin. vCloud Director PowerCLI snapin for providing tenant-based reporting and automation, these cmdlets are part of the VMware.VimAutomation.Cloud snapin and can be used with vCloud Director 1.5.1 Tenant tasks. You can list, modify, and manage organizations. You can list, create, and manage permissions. You can list and assign networking resources. You can list organization networks. You can list, create, modify, and remove vApp networks. You can list, create, modify, manage, and remove vApps. You can list and manage virtual machines and their guest operating systems within vApps. So where are we now ? What can we actually do with PowerCLI and the different VMware installations of snapins ? As you can see, we have a number of different snapins which enable us to add the products and areas we are interested in using with Windows PowerShell, we have the ability to not only enable our admin users but also our private and public cloud users, with the VMware snapins all users of the VMware products can achieve the level of automation, integration and reporting that PowerShell and PowerCLI gives. Keep tuned for more blog posts and information or if you are visiting VMworld Europe in 2012 make sure you add INF-VSP1252 – What’s New with vSphere 5.1 – ESXCLI & PowerCLI to your session list. This entry was posted in ESX, General, vCenter, vCloud, VMworld and tagged PowerCLI, PowerShell, vCloud, VMware, VMworld on September 7, 2012 by Alan Renouf. How many times have you built a test lab, perhaps you are trying out nested virtualization, which is very cool by the way! Is this a familiar sight ? Whilst doing this recently I had to add a large number of entries to my hosts file so that I could open the console on some of the VMs, as always I found an easy way than manually adding each host reference one by one. PowerShell. $hostsfilelocation = $env:SystemRoot + "\System32\Drivers\etc\hosts"
Ultimately I ended up with a hosts file which included an entry for each of my hosts and a working console screen ! Note: If you have UAC enabled on windows you will need to right click the PowerCLI Icon and choose “Run as Administrator” so it has the permission to edit the hosts file. I hope this helps anyone who is manually still adding each entry into their hosts file. This entry was posted in ESX, vCenter on June 27, 2012 by Alan Renouf. VSP2296 What everybody ought to know about reporting vSphere and vCloud environment with PowerCLI session has a repetition! If you haven’t managed to subscribe for it in the first time slot due to the high interest level from the audience, now you have the opportunity to attend the second one on Tuesday 4:30 PM. This entry was posted in Advanced, ESX, Performance, Reporting, vCenter, VMworld and tagged Las Vegas, PowerCLI, Reporting, vCloud, VMworld, vSphere on August 23, 2011 by Vladimir Goranov. Folks, we are sorry to say offer is now over. We will look into expanding this offer in the future but as of today we are no longer shipping the PowerCLI Fan Packs. Thanks to everyone who registered for the Free PowerCLI Fan Pack. We will be shipping your PowerCLI Fan Packs within the next 1 – 3 weeks. What is in a PowerCLI Fan Pack ? This entry was posted in Cluster, ESX, Hardware, Logs, Network, Performance, Reporting, vCenter, Webinars and tagged button and bumper sticker, powercli poster on February 22, 2011 by Pablo Roesch. Here in sunny Florida and thought I would share with you guys some of the history behind our poster. To date we have distributed close to 9K posters ! The poster all started as a casual conversation with Carter. We needed a simple reference sheet that had all the commandlets listed in some organized fashion. We mustered some resources together and got our first release out. As you can tell we have come a long way…….. Along the way we wanted to make the poster even better by adding useful references/tips. After weeks of negotiation (Beers) Alan R. agreed to let us use his material for the poster. As you can see below we also found a lot of errors 🙂 These errors were probably a result of staring at the same thing for too long. Take a look at the errors found below. Can you spot the hidden messages we incorporated into the poster ? The latest poster gets even better…. We were grateful to get feedback from our PowerCLI VIP members and came up with our latest version for 4.1.1. and we hope you enjoy it. We are looking at making this a bit easier to print from your home / office but until then.. Your PowerCLI 4.1.1 Poster is here ! This entry was posted in Cluster, ESX, Extensions, Guest and tagged powercli poster 4.1.1 on February 10, 2011 by Pablo Roesch. In case you wanted to review Alton's presentation at last weeks Portland VMUG see attached. Users getting ready to hear Alton's Session. This entry was posted in Advanced, Cluster, ESX, Extensions, Guest, Hardware, Logs, Network, Performance, Reporting, ThirdParty, vCenter, VMworld, Webinars and tagged Alton Yu, PowerCLI Portland VMUG Presentation on November 9, 2010 by Pablo Roesch. 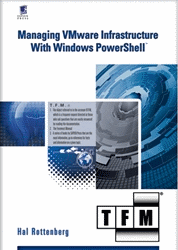 We have had many requests for the PowerCLI Lab Manual – Please see attached in Word. We also plan on revising the Lab for VMworld 2011. Please let us know if you have any feedback or suggestions for improvements. This entry was posted in ESX, Extensions, Guest, Hardware, Logs, Network, Performance, Reporting, Storage, ThirdParty, vCenter, VMworld, Webinars and tagged Alton Yu, vmworld powercli lab 26 user manual on November 3, 2010 by Pablo Roesch. Just wanted to share our trip report on our first ever Workshop in London. A huge thanks to Alan R. and Paul N. for helping us put this together. Please visit http://www.virtu-al.net/ for presentations and MP3 recordings. Theme: Managing Large Scale vSphere environments using APIs / PowerCLI. We wanted to maximize our Engineering and PM time out of office by visiting strategic locations en-route to VMworld EMEA. London / Financial sector has a very high rate of PowerCLI user base. “I like the technical depth of the presenters. Being able to put questions directly to the chaps involved in product development was a great opportunity and I learnt a lot. Could we have more sessions like this? “A useful and well balanced set of sessions. Even though I then went to VMworld, Copenhagen and could have seen most of these sessions, having them in a package was really good. Overall event ran without a hitch. We had some great interaction with our users and were very impressed by the questions posed to our engineering teams. In the future we need to perhaps allocate more time to the ESX TOP session and have more hands on demos. We should also better plan on food / snacks – we missed the morning Coffee. This is the first ever PowerCLI Sticker released. Developers have a broad set of options to integrate with VMware platforms to monitor and manage virtualization. This session will provide the overall direction of VMware APIs, describe opportunities for tighter integration with vSphere 4.1 and vCenter 4.1. This is a must-attend session for new product managers or developers to VMware platforms. For those familiar with VMware platforms, the session will provide a refresher course as well as a summary of enhancements to the APIs in the 4.1 release. Building on the initial knowledge of vSphere APIs, learn about the features available to developers via vSphere Web Services APIs to collect performance statistics. We will also discuss the best practices in collecting performance data when using these APIs. This presentation is a must-attend for any developer that retrieves performance information from the vSphere platform in any large environment. While the content is advanced, developers new to the platform will find it useful as well. This two-part session focuses on PowerCLI and Onyx. VMware vSphere PowerCLI is a powerful command line tool that lets you automate all aspects of vSphere management, including network, storage, VM, guest OS and more. PowerCLI is distributed as a Windows PowerShell snap-in, and includes more than 230 PowerShell cmdlets, along with documentation and samples. Onyx is a standalone application that serves as a proxy between the vSphere Client and the vCenter Server. It monitors the network communication between them and translates it into an executable PowerShell code. Later this code could be modified and saved into a reusable function or script. The audience will walk away with deeper understanding of how and when to use PowerCLI and Onyx. This talk will teach you how to spot tricky performance issues using the various counters in esxtop. This entry was posted in ESX, Extensions, Guest, Logs, Network, Performance, Reporting, VMworld, Webinars and tagged london trip report, PowerCLI, workshop on October 21, 2010 by Pablo Roesch.